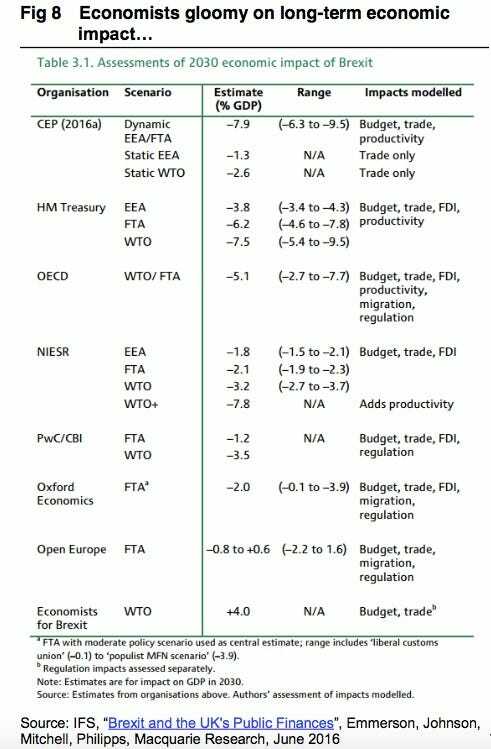 Australian investment bank Macquarie has produced a handy chart so you can easily see all the forecasts from a range of economists, from some of the world’s most important organisations, about life after a potential Brexit — a British exit from the European Union. All but one of the forecasts predict GDP will shrink by 2030, with estimates of the contraction between 0.8% and 7.9%. It is hard to know how seriously to take such analysis. 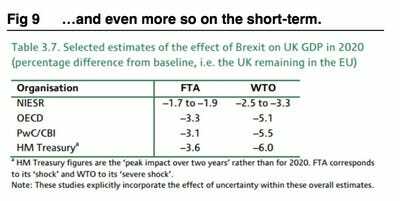 The beneficial aspects of trade are one of the most well-understood facts in economics, and although not undisputed it does seem likely less trade would be conducted globally post-Brexit. 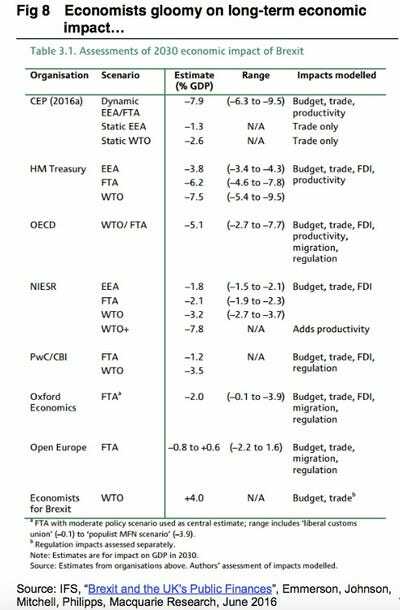 But there are a multitude of other factors which often do not get included in the analysis — such as immigration, regulation, budgetary savings — which could easily overwhelm the trade impact. 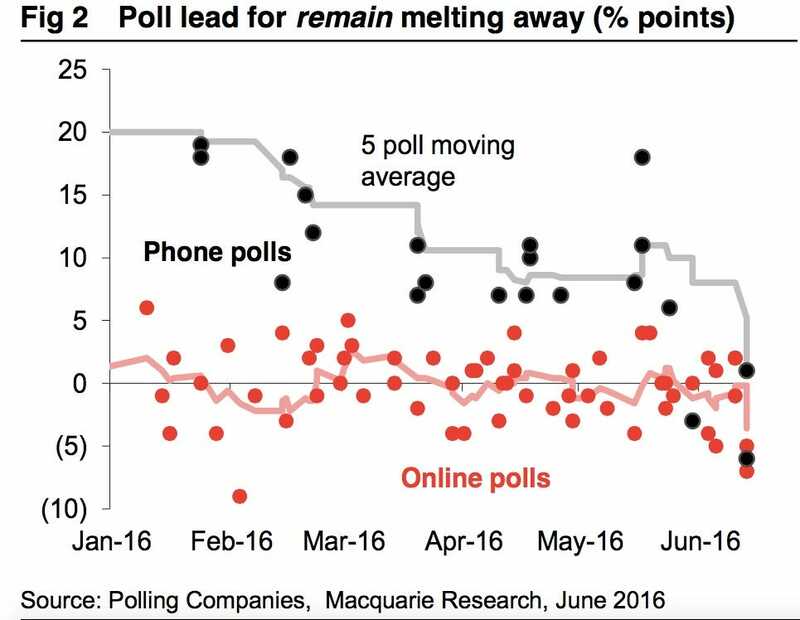 Forecasting those is almost impossible given we do not know what future governments, which could be very different in personnel from the current one, will want to do. 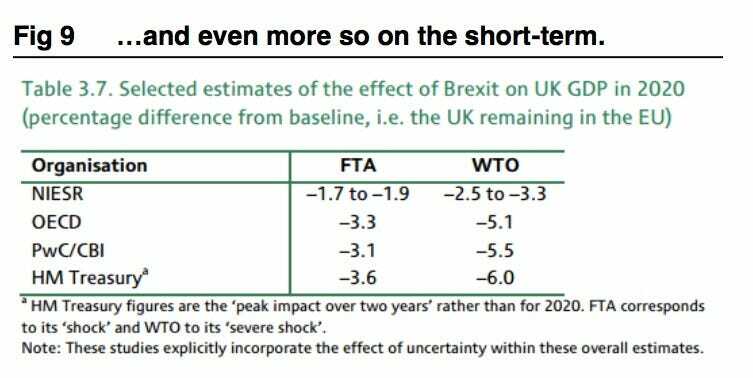 While the consensus appears to be that a Brexit will be bad for Britain’s economy, it appears that we are heading for it. 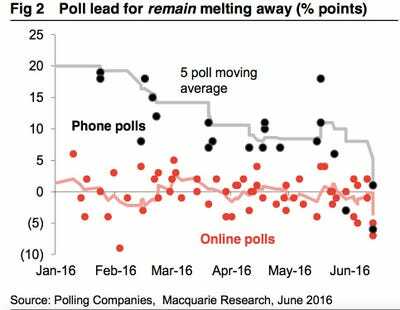 The latest figures show “Leave” is 6 points ahead in an Ipsos MORI poll and a Survation poll gives “Leave” a 7-point swing.